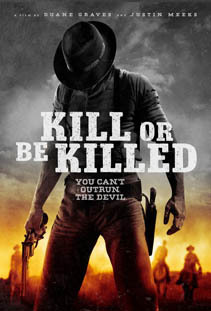 In the autumn of 1900, outlaw Claude Barbee puts his "retirement plan" into action, attempting to lead his train-robbing gang across Texas to recover a cash stash hidden after a botched railroad heist. They soon discover they're being hunted by more than just the law - but rather a merciless, unexpected evil quite possibly greater than themselves. The Texas Chain Saw Massacre co-writer Kim Henkel pens this urban retread about a group of youths celebrating a birthday at a posh restaurant when they cross paths with a ravenous clan of cannibals. Mercilessly stalked through the darkened city streets, the young revelers must fight back against their attackers with sheer ferocity to avoid having their bodies defiled, and their flesh devoured. 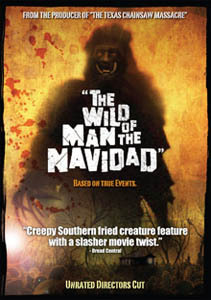 Based on the recently acquired journals of Texan Dale S. Rogers, this vintage horror tale debunks history books to tell the veracious, harrowing story of a rural Texas community whose residents were terrified for years by a mysterious creature inhabiting the nearby woods. Celebrating the 20th anniversary of the iconic movie, 24 of Austin's top filmmakers banded together to update SLACKER with their own perspectives on the city. SLACKER 2011 is a stream-of-consciousness chronicle of a day in Austin, presenting the city-dwellers, dragworms, proto-hipsters and locations that give the city its modern identity. 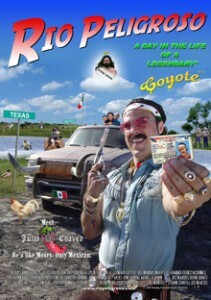 Follows the antics of Julio "The Pepper" Chavez, an honest-to-goodness "coyote" working in a tiny, dilapidated South Texas border town. A self-proclaimed legend, The Pepper prides himself in giving the gift of freedom by ushering Mexican nationals illegally into the United States. Using donated tapes and a camera purchased with money earned from an eBay sale, Duane Graves' critically-acclaimed documentary chronicles a year in the life of his childhood friend, Rene Moreno, who has Down Syndrome. After graduating from a high school for special students, Moreno sets out to make his way in the adult world, optimistically battling the prejudices his condition engenders. 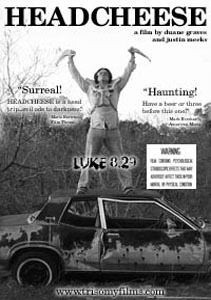 Nestles the viewer into the diseased mind of a schizophrenic serial killer as he wanders the desolate Texas backwoods and confronts the lurking demons that have driven him to madness and murder.